against you in court. You are being evicted because: (Check all that apply and explain below). □ You or someone in your control intentionally inflicted substantial damage to the premises. this notice is within 30 days of our discovery that your information was false. 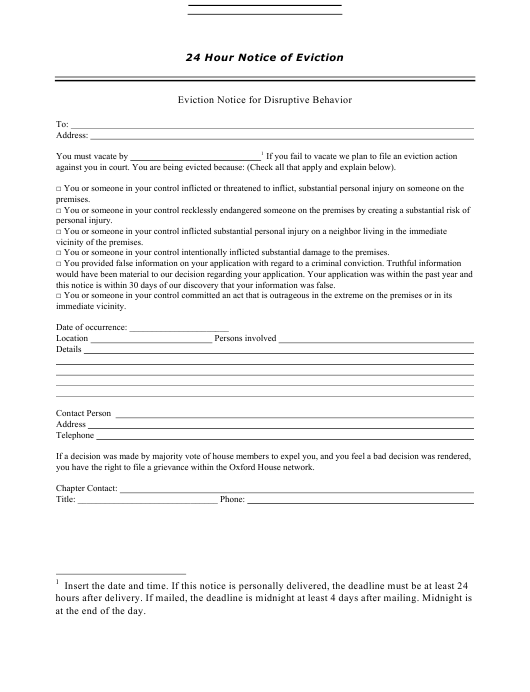 you have the right to file a grievance within the Oxford House network.